Over the past decade, ultrasound simulators have been increasingly used as an adjunct to clinical training in Obstetrics and Gynaecology. 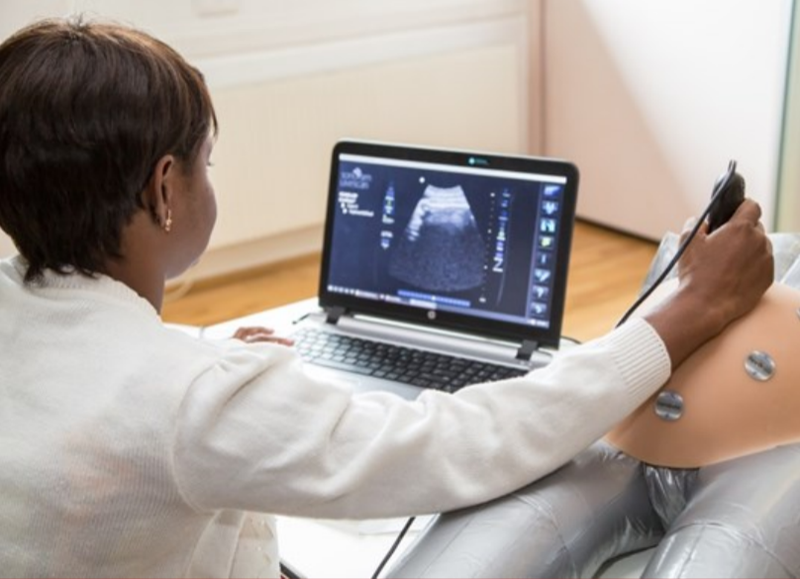 Studies have shown that providing initial simulation-based ultrasound training leads to sustained improvements in clinical performance including improved diagnostic accuracy, reduced need for supervised practice, and decreased patient discomfort. Simulation training also eliminates the problems of time constraints in a clinical setting and the difficulty of performing intimate examinations on patients. The ISUOG Basic Training Task Force has been working with representatives from different simulator manufacturers to develop a practical component of our Basic Training courses. During the BT courses in Rome, Vienna, and Rotterdam, participants were offered the opportunity to develop their practical skills on a variety of commercially available virtual-reality simulators, supervised and supported by ISUOG experts. These workshops proved very popular and feedback from delegates was highly positive. Many experienced initial difficulties in orientation and adapting to the equipment. However by the end of the simulation workshops, delegates reported that they had learned a better and more structured approach to performing ultrasound examinations and felt more aware of future learning goals. At the most recent simulation workshop in Rotterdam, 37 delegates explored gynecologic ultrasound using 3 different simulators; their time was divided between sessions guided by experts in the field and self-guided ‘free-style’ learning, to allow them to practice their new skills at their own pace. Delegates gave the course an approval rating of 6.36 out of 7, and 96% said they would definitely recommend simulation training to a colleague. Reponses to the practical components of the course also reflected a desire for more training relating to 3D ultrasound. We think, and time will prove, that simulators are valuable educational instruments when it comes to training in obstetrical and gynecological ultrasound. We hope to see you all at our next simulation workshop at the World Congress in Singapore, to experience and benefit from simulation yourselves. ISUOG is the leading international society of professionals in ultrasound for obstetrics and gynecology. Beginning in 1991 with the first issue UOG Journal and the first World Congress, ISUOG has now grown to over 13,000 members in 127 countries. Join our growing global community and gain access to a broad range of educational resources for all training and professional levels.